I’ve finished the Beach Ball Baby Quilt! 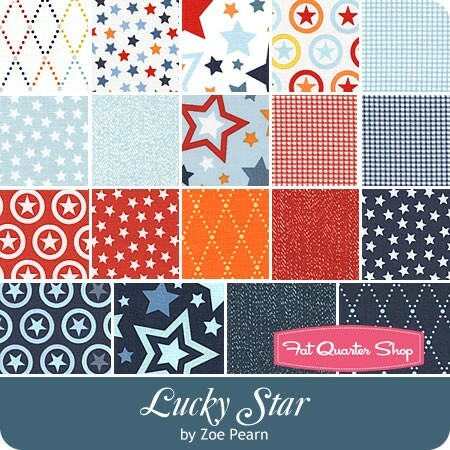 It’s a free pattern from the Moda Bake Shop. The white background, binding and backing were all from my stash. I used some leftover beach ball pieces to piece a portion of the backing as well. I could have added another row and made the quilt a little bigger, but the sizes on these pieces were off. 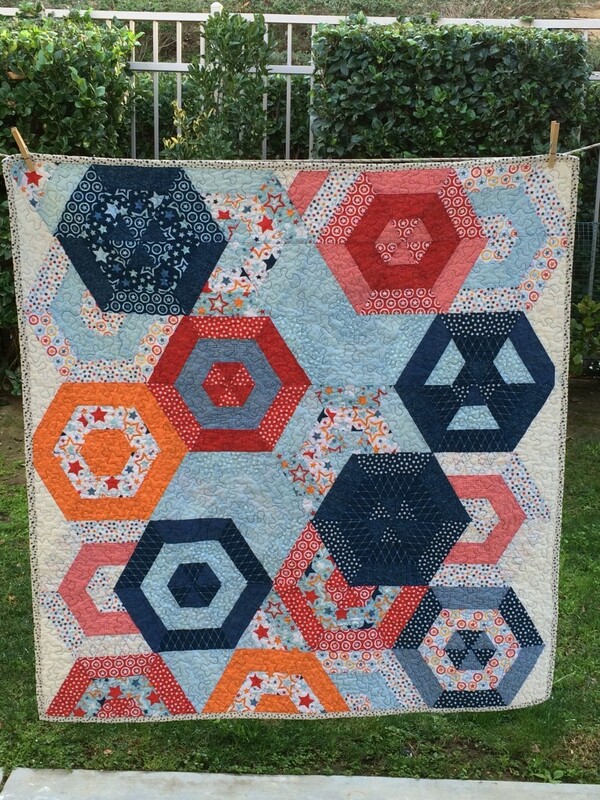 If you make this quilt, I highly recommend buying a 60 degree triangle ruler. I just used the 60 degree marker on my cutting ruler and it wasn’t quite as accurate so I had a little trouble piecing. 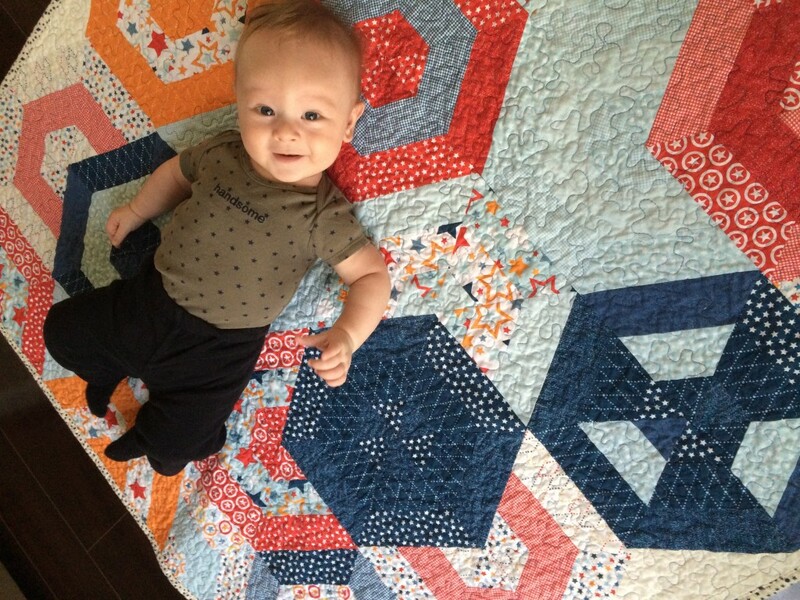 Of course, I had to include a picture of a baby using the baby quilt! 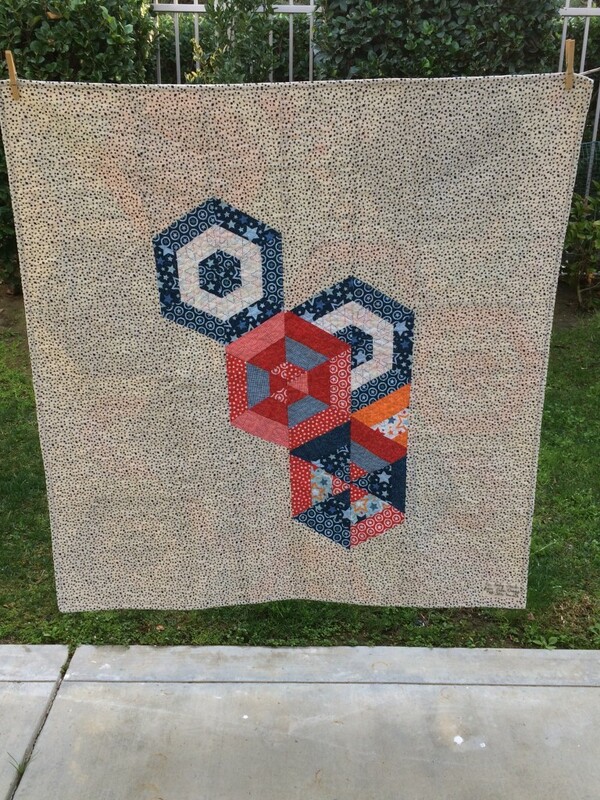 The quilting was a free motion stipple using blue variegated thread on top and white on bottom. If I had to do it over again I probably would not do the blue thread and would have stuck to white for the top, too. I think the blue is just a little distracting. The finished size is 48″x45″. Thanks for stopping by! 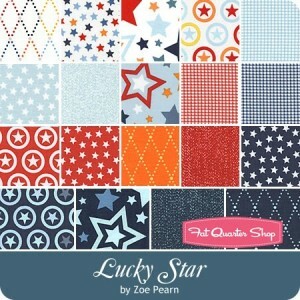 I’m linking up with Crazy Mom Quilts for Finish it up Friday. That quilt is so fun. Sometimes it’s nice to do something that isn’t traditional blocks.